This access statement does not contain personal opinions as to our suitability for those with disabilities, but aims to accurately describe the facilities and services that we offer to our clients. 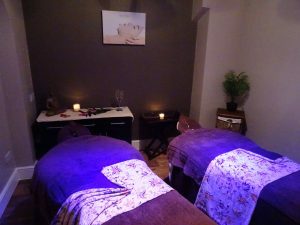 At Torbay’s most luxurious retreat day spa,Vspa Retreat, you will be experience an unrivalled personal service from the moment that you enter to the moment you leave. Our exclusive and luxury skincare ranges have been carefully selected for their outstanding results. Vspa highly qualified Spa Therapists will make your visit memorable and leave you looking forward to your next visit. There is a small slope. The internal floors throughout the Spa are vinyl. 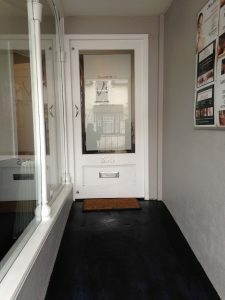 The exception is the entrance to the toilets which is carpeted. The floor in the WC is vinyl flooring. There is step to enter the hallway and another step to enter WC. We do not permit the use of mobile phones or cameras within the spa. There is background music throughout the Spa. 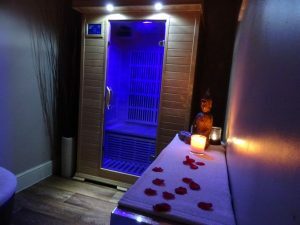 The lighting in the Spa is ambient and varies in different parts of the Spa. Much of the decor is pale colours throughout. Children under 16 are not allowed in the spa. The exception is pamper parties. The entire Spa is a non-smoking. Smoking right outside the building is not permitted. Vspa is wheelchair accessible from entering the building to going into the treatment rooms. We are required to keep all passageways and fire exits clear at all times as such the Spa can give no guarantee that electric wheelchairs can be stored during the visit. The spa does not permit Mobility Scooters. They can be parked outside the main Spa where they can be left at owner’s risk. The therapy beds can be lowered to assist access. Please ensure you discuss your needs upon booking as not all the therapy beds can be lowered. Our staff are not ‘person’ manual handling trained. We would advise that you bring a carer. If this is not possible please contact us in advance so that we can discuss your requirements. We don’t welcome guests with service dogs due to health and safety reasons. If you have any special requirements, you should contact us prior to your visit or booking to discuss arrangements /requirements. Our Access statement is available on our website, at our reception, via email or by post and on request. 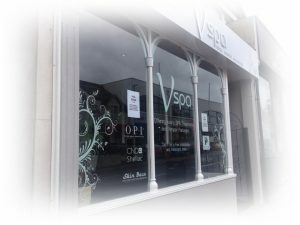 Vspa is based in Preston Paignton. Vspa Retreat is not a medical centre. If you have had or are suffering from severe allergies, ill health, a particular medical condition or are pregnant we advise you to speak to your GP prior to arrival to ensure you can use our full facilities, services and treatments. In some instance we may require written confirmation from your Doctor. All treatments booked are subject to medical status. We reserve the right to refuse treatments if we feel it is not in the best interest of the Client. Vspa Retreat will not be held liable for any treatment cancellations due to ill health due to information not being disclosed at the time of booking and no refunds will be given. You must ensure that Verrucas / foot conditions are suitably covered. This is in the interest of hygiene. There is no designated blue badge permit on-street parking near the entrance however if you have a disable badge you are able to park anywhere on ilsham road and roads near by. Normal parking regulations for ilsham road is up to two hours of parking. If you require any assistance from your car to come to our spa please inform us upon booking. You will need to book in at Reception upon arrival. Please advise us of any medical conditions at the time of booking. If you have a medical condition we may ask for a GP referral Letter. There is background music throughout the Spa. Background music in individual treatment rooms can be adjusted. Please inform our staff at the time of booking if you have any special requirements. Upon Booking please let the receptionist know of any medical conditions you may have. The Spa is not liable if we have to cancel treatment because of undisclosed medical conditions. Also please read our Terms and Conditions regarding our Deposit and Cancellation Policy. To sercure your booking you need to make a 50% deposit.